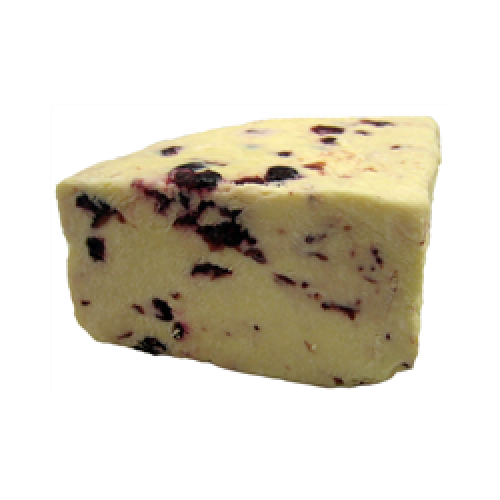 Try this combination - Traditional Wensleydale cheese with plump, juicy cranberries. An innovative complement of flavours and a superb visual experience. Traditionally made from milk drawn from cows grazing the sweet limestone pastures on surrounding farms in Upper Wensleydale. This gives the cheese the unique flavour for which it is renowned. The cheese is a fresh, young cheese taken at only three weeks old - it has a clean, mild, slightly sweet flavour with a honeyed after taste.